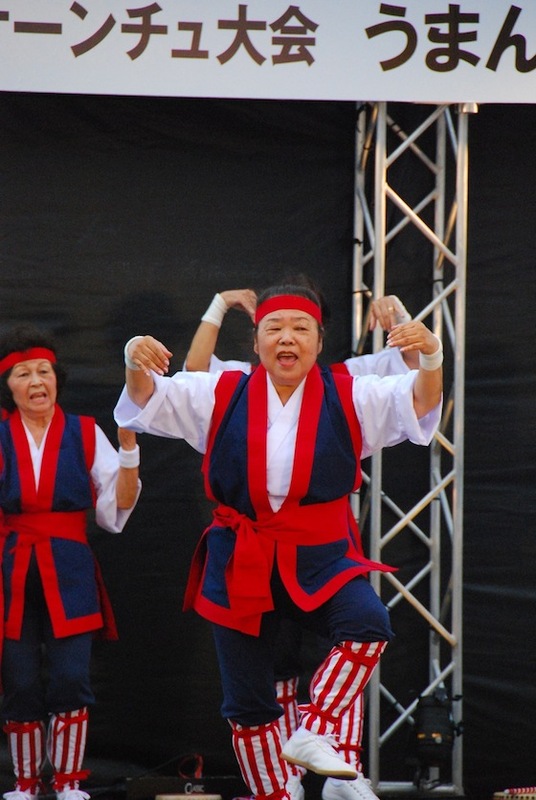 The 5th Worldwide Uchinanchu Festival, a celebration of Okinawans who live abroad, came to a close in Okinawa on October 16. 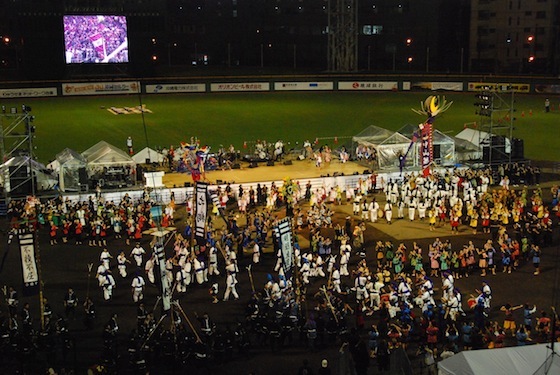 Members of the Okinawa American Association of New York performed onstage outside Okinawa Cellular Stadium, a new facility used by the Yomiuri Giants during spring training and by a local high school during the school year. 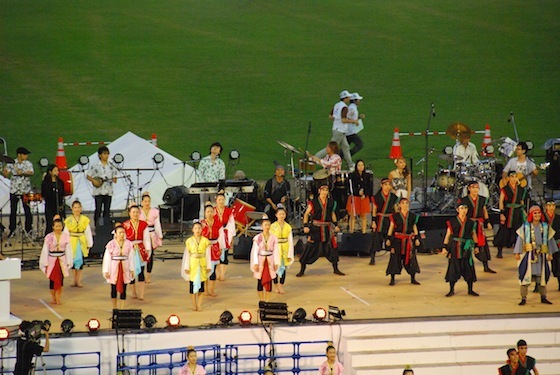 Choreographed by OAANY president Teiko Tursi, the performance was a mix of taiko drumming and karate. 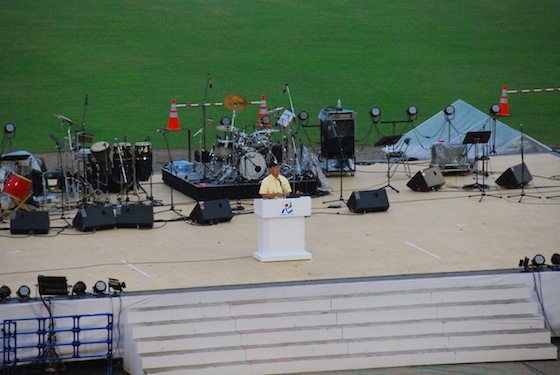 Inside the stadium, Okinawa Governor Hirokazu Nakaima addressed the crowd, urging future generations to become involved in promoting Okinawan culture outside of Japan. As the Uchinanchu population ages, Okinawans around the world must take action to keep Okinawa relevant to young people. While people of all ages attended the festival, the most involved participants were older. It was not coincidental that the executive committee asked a few 20-year-olds to speak during the closing ceremony, stressing the importance of capturing and perpetuating the feeling of “Okinawan-ness” among teens and college students. Daiichi Hirata, Director General of the Department of Culture, Tourism, and Sports, directed an elaborate program that told the history of the Ryukyu Kingdom through dance. Hirata, who performed at an OAANY meeting in New York in June, orchestrated an arrangement of traditional Okinawan music, but with a contemporary flair. 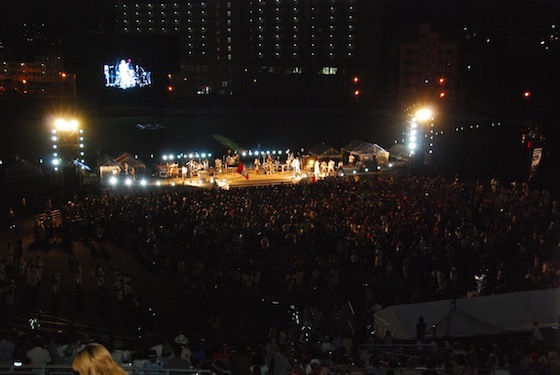 The festival’s grand finale was a concert featuring Kazufumi Miyazawa of the Japanese band The Boom; Okinawan folk rock singer and peace activist Shokichi Kina; Diamantes, a band led by Alberto Shiroma, a third generation Uchinanchu from Peru; and Begin, a popular trio from Okinawa. 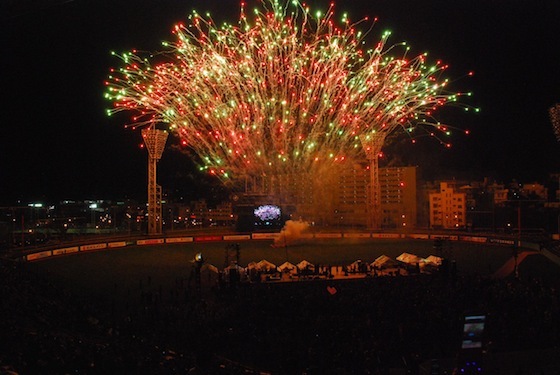 A spectacular fireworks display and a festive dance known as kachashi rounded out the evening and closed the four-day bash. 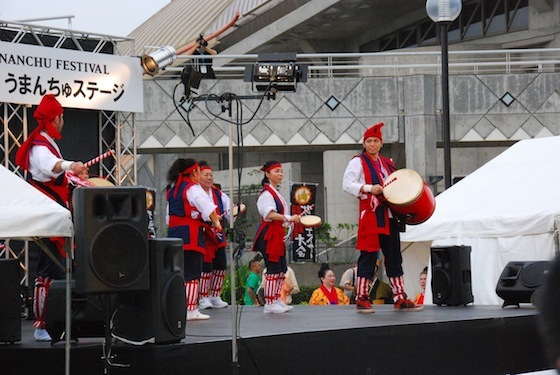 It’s five years until the next Worldwide Uchinanchu Festival, and Okinawan associations around the world need to act now to accomplish Governor Nakaima’s goals. Going forward it’s up to all generations to promote and strengthen the worldwide Uchina network. We must target the young members of this community within whom the beauty and cultural heritage of Okinawa has not yet been ingrained, people who don’t know how to speak Japanese and have not yet visited their ancestral homeland. 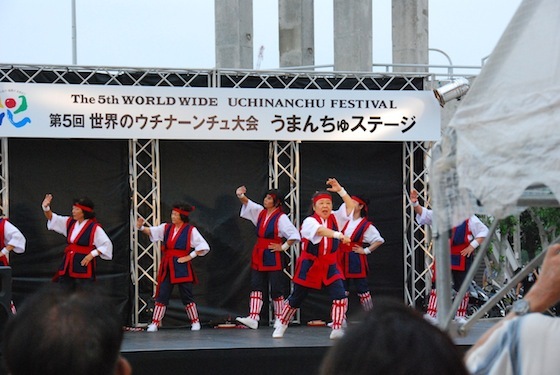 Showing that the Worldwide Uchinanchu Festival isn’t simply a party that occurs every five years is the best way to help the network grow. For more information about the Okinawa American Association of New York, visit the website at www.oaany.org.